When Te’Jon Lucas was in third grade, Anthony McHenry, executive director and coach of the Milwaukee Spartans club basketball team, saw him play in a Saturday league at Silver Spring Neighborhood Center, 5460 N. 64th St. McHenry recruited Lucas for the Spartans, and has coached him ever since. Now a senior at Washington High School, Lucas will be heading to the University of Illinois Urbana-Champaign next year to play Division I basketball. He is the only MPS student in the class of 2016 ranked among Wisconsin’s top 20 basketball players. Lucas said his final three choices were University of Southern California, Old Dominion University in Virginia and Illinois. 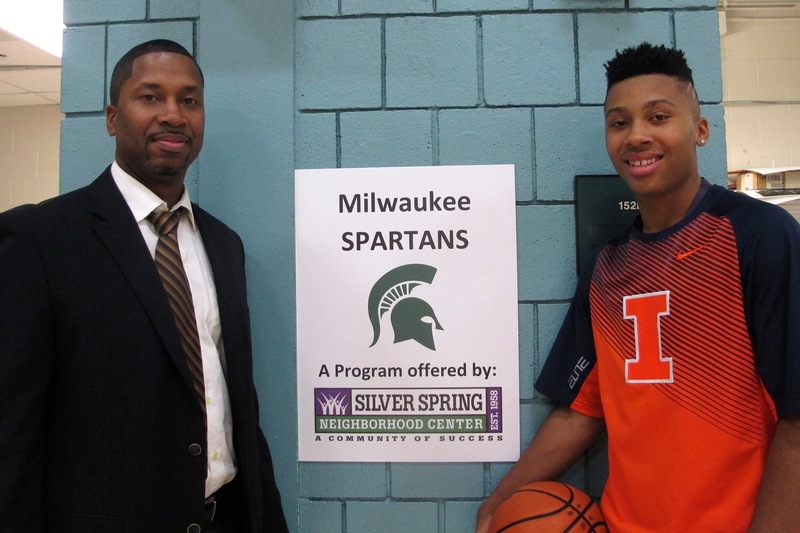 McHenry said Lucas’s active involvement in the many programs Silver Spring offers has helped him develop into the person he is today. 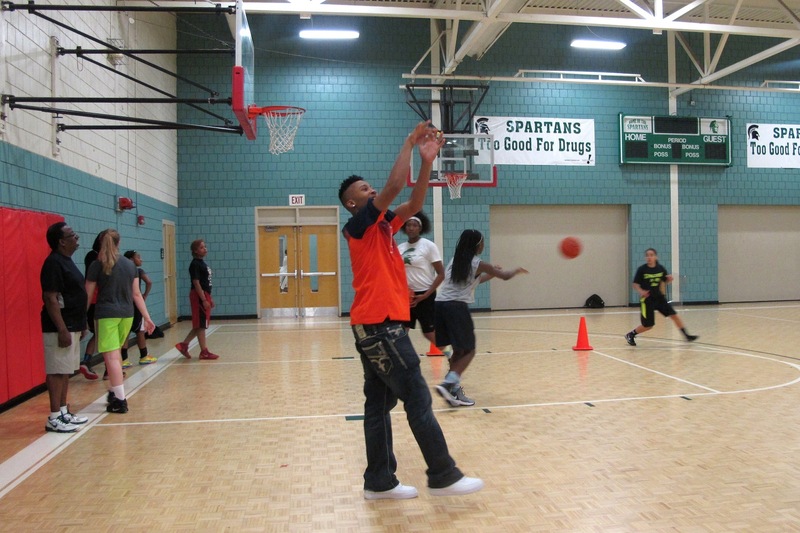 Along with basketball, he partakes in academic and social development programs. There was a lot of buzz around Lucas’s announcement, according to McHenry, since only his inner circle of family and friends knew he would pick Illinois. Marie Lucas said she is very relieved that her son will get a free education. Lucas is the only MPS senior who was offered a Division I basketball scholarship. He plans to pursue a career in communications or business management. Lucas said basketball has taught him a lot of life lessons such as how to respect others and work as part of a group. Lucas said he feels anxious about playing at the next level. He added that he is looking forward to playing in the Big 10 Conference and the energy from the fans he will get during home games. McHenry hopes kids at the center will learn from Lucas’s story. Donar Basketball club, a professional basketball club based in Groningen, Netherlands. The club competes in the Dutch Basketball League (DBL) and its home arena is MartiniPlaza, which has a seating capacity of 4,310 people.is looking for Point guard,Shooting guard,Small forward,Power forward and Center with small to mid sized contracts.We are interested to hear from players who can add to the strength of our Men and Women. The Netherlands Basketball office will be pleased to assist players and parents with the complexities.Please get back to us at donarbasketballnl@outlook.com We will contact you on receipt.